Is it True That Everyone is Psychic? Ever have a feeling or hunch about something, and then it occurs? Of course you have. Everyone is psychic, same as everyone can sing. Not everyone sings well of course. Some people are born with beautiful singing voices. Some people hire singing coaches to help enrich their voices. Ever attend Karaoke night at a local hot spot and end up cringing when a less than talented singer grabs the mic? A fair amount of people are tone deaf. But there is something joyful about singing or humming... so don't be too harsh on individuals who don't quite meet your melodic standards. We are all singers! And we are all psychic on some level. This ability need not be looked at as if it is a gift or talent. Think of it as a muscle that can either be flexed or lay dormant. Same can be said of intuition or psychic awareness. You have it whether you realize it or not. The degree of expertise or talent when it comes to intuition or psychic awareness varies, not only from person to person, but from day to day. Even the most adept psychics have off days. Is Psychic Ability in Your DNA? 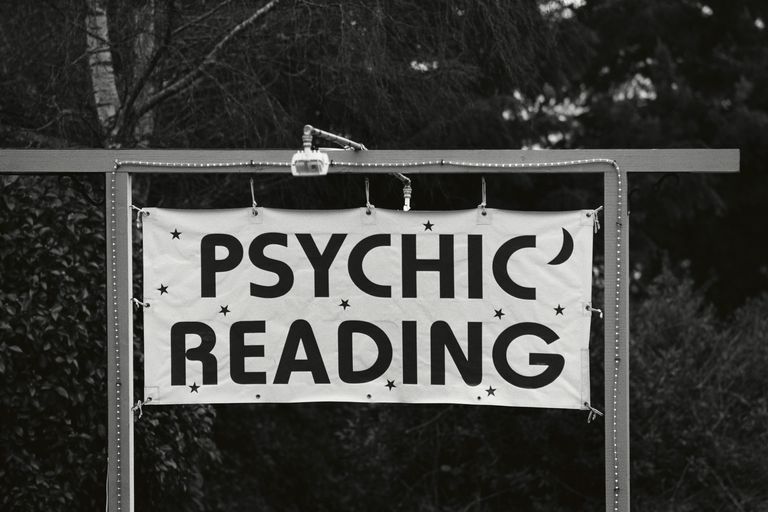 The word psychic has been tarnished somewhat by fortune tellers who wear the term like it is a rare commodity. Or, saying that their psychic nature is in their blood proudly saying that they were born out of 4th or 5th generations of amazing psychics. Actually, I think it might be true that psychic ability runs in families. But whether intuition is in their DNA or simply because they were reared by parents who were more open to intuitive messages is open for discussion. Spiritual or Religious? Psychic or Intuitive? White or Brown Rice? Do you want white rice or brown rice with your kung pao chicken? You might choose brown rice because someone told you it is healthier. Perhaps you choose white because it is what most people choose. What ever your reason, it is your choice. More and more people are calling themselves spiritual rather than religious because they don't feel connected to church dogma. But, perhaps all these spiritual people (including me) are simply creating their own style of personal dogma. It is all good. Your choice! Same goes with calling yourself intuitive or psychic. A choice! Both are the same, just flavored a bit different due to our experiences and perceptions. The change in labeling from psychic to intuitive for holistic healers was likely meant to create a distinction between individuals who are interested in helping others with their intuitive tools apart from the stigma attached to scamming fortune tellers or exploitive psychic readers who have taken advantage of desperate or hurting clients. Besides, saying that you are psychic does not really distinguish you apart from others. Although it does perhaps indicate that you acknowledge that knowing part of yourself and have likely nourished it. So, that is the positive side of telling people you are psychic. Not everyone uses their intuitive natures professionally to help others. Many of us who do are more comfortable being referred to as intuitive counselors/healers. Someone who seeks a psychic may ask: "When will I meet my soul mate?" A person consulting an intuitive counselor asks: "What can I do differently in my life to help attract a loving partner?" What Are the Pros and Cons of Being an Empath?